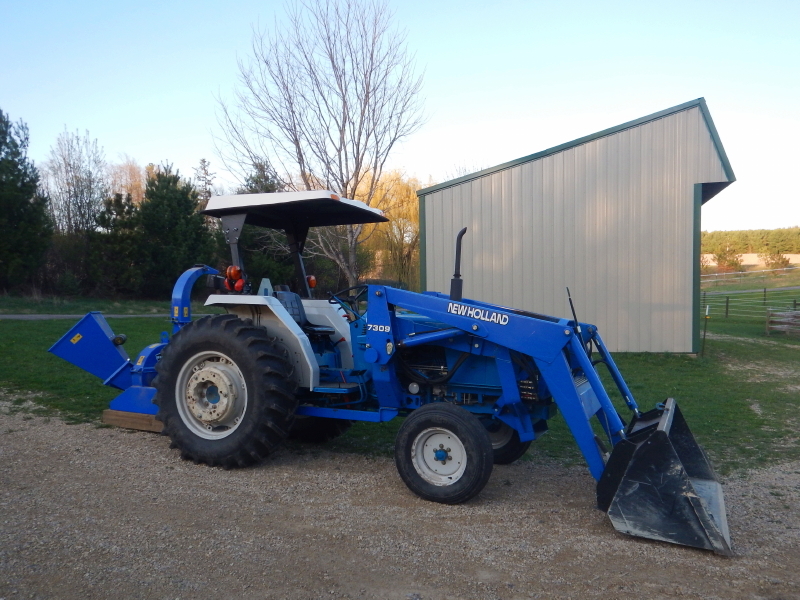 I am so pleased with our decision to get a wood chipper attachment for our tractor. 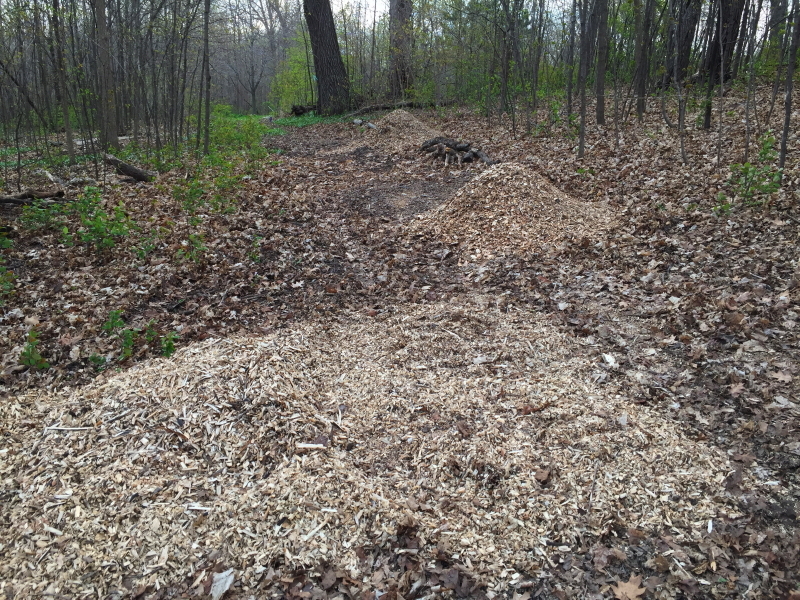 We have an unending supply of branches available for chipping and we have a need for wood chips on our trails. 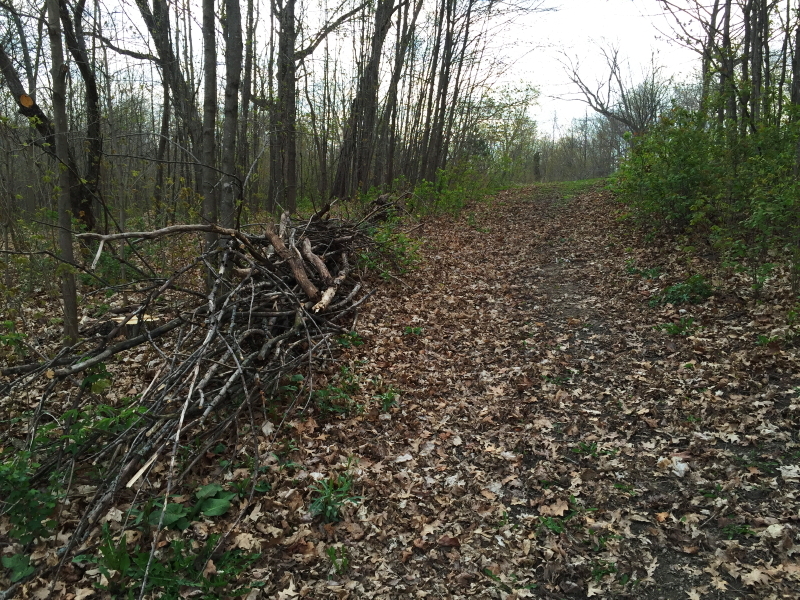 In a rewardingly short amount of time, we were able to convert an unwanted pile of collected branches on the edge of a trail, into conveniently placed mounds of raw material for “paving” the paths. It really feels like double dipping. Like having our cake and eating it, too. There is even an added bonus of saving us from needing a gym membership to get exercise. Last night I could really feel the body fatigue from the constant motion of bending and lifting, done at an accelerated pace to keep the chipper fed while the diesel engine races along at optimal revolutions. So, it has actually proved to be a 3-in-1 device! It’s a perfect model of efficiency.